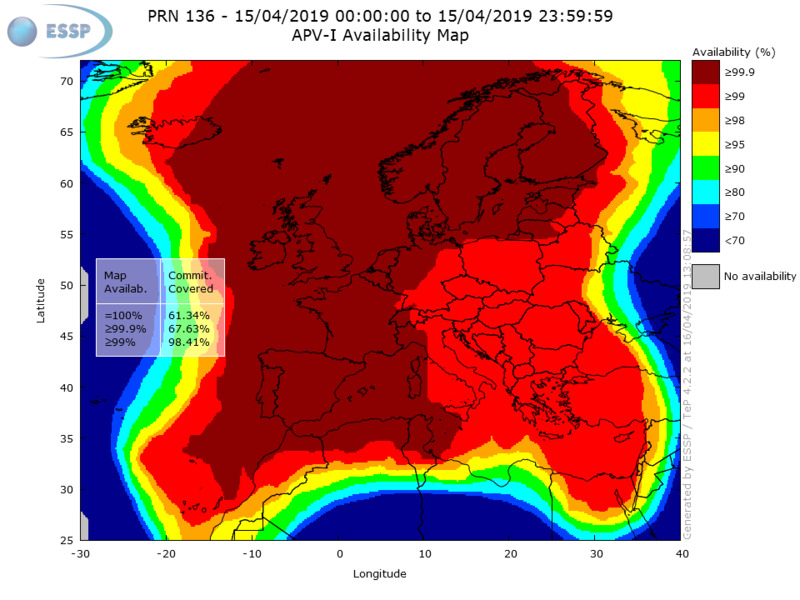 EGNOS APV-I Availability is defined as the percentage of epochs in which the Protection Level are below Alert Limits for this APV-I service (HPL<40m and VPL<50m) over the total period. The pictures present the daily EGNOS APV-I Availability for the operational GEO satellites and their combination. Please, select a date in the calendar field to see the EGNOS APV-I Availability for such date.